Sunday, September 15, 2019 at 3:00 p.m. The Mama Doni experience is a world to laugh, love, dance, and sing along with the inner Jewish child in all of us. Doni Zasloff (Mama Doni) is the lead singer, songwriter, author, and performer in Jewish entertainment for kids and families. With arms open wide, she invites audiences throughout the country to join her as she famously elevates Ruach & Spirit to a whole new level in a true celebration of Jewish life, values, culture, and tradition. At the heart of the Mama Doni Experience is the longtime collaboration between Doni Zasloff and husband Eric Lindberg. Together, their past three CD's have each awarded them a Parents Choice Award (Shabbat Shaboom, Emunah, The Jewish Holiday Collection) and they have also released a DVD, Cookbook, and two volumes of Audiobooks for Bible Stories. Together they tour the country as a duo and with their larger rock band playing over 100 dates a year. The Mama Doni Experience is the celebration of being Jewish! 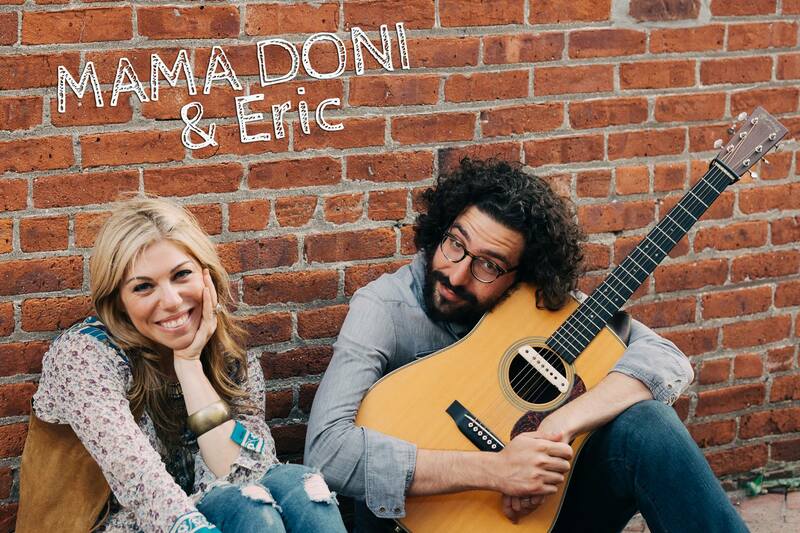 Doni & Eric share their love for Jewish Culture, Tradition, Prayer, Food, and Life through their music and performances Nationwide. Throughout the year they play everything from full concerts to soulful family Shabbat Services for all ages, blending their unique voices and spirits, giving children and their parents an experience they won't forget! Click here to learn more about Mama Doni.